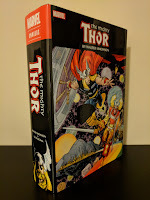 When Marvel first announced that Jason Aaron and Chris Bachalo were going to be launching a Doctor Strange book as part of their All-New All Different initiative, I was very excited. 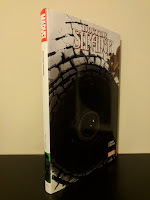 At the time I hadn't read much Doctor Strange, but I had enjoyed everything else I had read from Aaron and Bachalo's style just seemed like it would be a perfect fit for a title revolving around the Sorcerer Supreme. Having since read up on some of Doctor Strange's original/classic adventures, I feel pretty safe in saying that there may not have been a better modern creative team to launch Stephen Strange's first ongoing series in almost twenty years. Star Wars: The Last Jedi (2017), PG-13, 2hr 32min - It's almost hard to believe that it has already been two years since we saw the return of Star Wars to theaters by way of Episode VII: The Force Awakens. I suppose that is partially due to the fact that we got Rogue One - the first Star Wars anthology film - last year which helped pass the time. This holiday weekend will be The Last Jedi's second weekend in theaters and it is already making quite a bit of noise at the box office. At some point over the past year or so, they seem to have dropped "Episode VIII" from The Last Jedi's official title. I'm not sure when or why that happened, but I'll likely refer to this film by both names throughout this review. 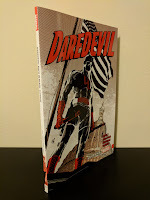 After a delay of about a month and a half, the fifth trade paperback (TPB) collection of Charles Soule's Daredevil run was finally released last week. 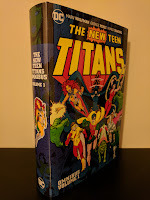 This volume was originally solicited to include issues #21-25 (the "Supreme" arc) with a release date of mid-October, but thanks to Marvel's Legacy initiative (and the renumbering that came with it), they decided to push back the release so that they could also include issues #26-28 (the short "Land of the Blind" arc) as it effectively ends the 'All-New, All-Different' era of the title. But don't worry, Soule leaves plenty to explore heading into the Legacy era of Daredevil.